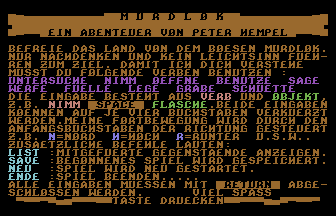 Murdlok is a previously unreleased graphical text-based adventure game for the Commodore 64 written in 1986 by Peter Hempel. A German and an English version exist. Befreie das Land von dem bösen Murdlok. Nur Nachdenken und kein Leichtsinn führen zum Ziel. Liberate the land from the evil Murdlok! Reflection, not recklessness will guide you to your goal! 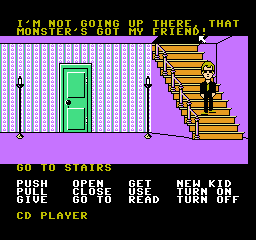 The great thing about a new game is that no walkthroughs exist yet! Feel free to use the comments section of this post to discuss how to solve the game. Extra points for the shortest solution – ours is 236 steps! 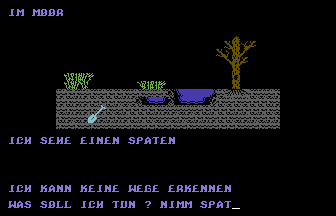 This entry was posted in 6502, archeology, puzzle, SCUMM on February 20, 2018 by Michael Steil. Oops! 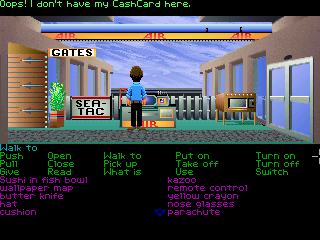 I don't have my CashCard here. 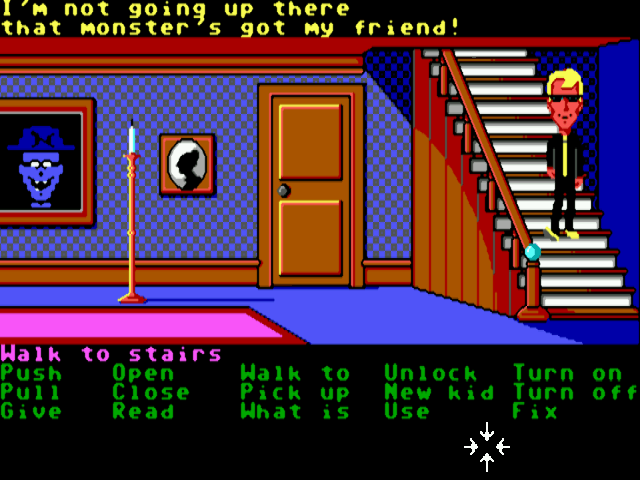 In Zak McKracken, how can you get into the situation pictured below? 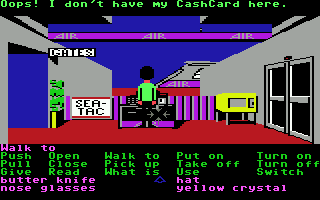 Note that you need the CashCard in order to leave San Francisco, and Zak cannot give away his CashCard. 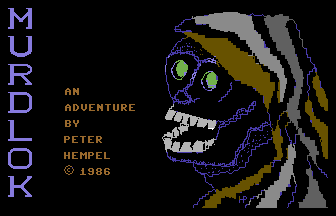 Bonus points if you solve it by converting the SCUMM script into a graph and programmatically finding the shortest path to this state. 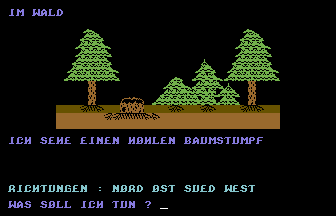 This entry was posted in archeology, hacks, puzzle, SCUMM on May 18, 2011 by Michael Steil. Slashdot had a story recently on how in 1942, the allies were able to estimate the number of German taks produced based on the serial numbers of the tanks. In 2010, a German hacker is doing the exact same thing with Xboxes. This article describes the generic approach, shows some results, and provides previously unreleased raw data of 14,000 Xbox serials so you can do your own statistics! After looking at several serial numbers, it was already clear that the last two digits (“03” in my example) are the location of manufacture: 02 is Mexico, 03 is Hungary, 05 is China and 06 is Taiwan. 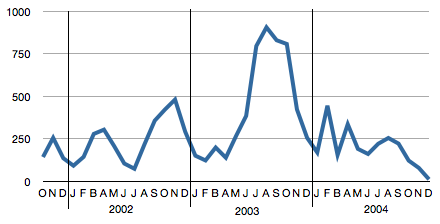 The three digits before (“209” in my example) are the one-digit year (“2” for “2002”) and the two-digit calender week (“09” for around the first week of March). Now we want to find out how many devices were manufactured. A first approximation is to look at the manufacturing dates of all Xboxes in our database. This gives us an idea when production was ramped up (in 2001 and 2002 in November, and in 2003 in August, September and October), but the statistics don’t give us absolute numbers, and they are biased towards older devices (newer devices are not entered yet, and visitors of our site tend to be early adopters). Voilà! Serial numbers that count up monotonically and get reset on every Sunday. k is the sample size and m s the highest serial number observed. The estimate of Xboxes produced by assembly line 6 in China in week 33 of 2003 is therefore 285,269. Applying this to every assembly line of every factory and every week, it should be easy to get great statistics on the productivity of the different lines and factories, as well as a very good estimate of the total number of devices produced. …and this is where you come in! Please note that people were able to fill some fields with arbitraty data, so they might not necessarily be in exactly the specified form. There are also lots of typos in the serial numbers and the month and day fields in the data fields have been mixed up sometimes. You probably want to run a script over the data first that sanitizes some of the input, e.g. removes dashes and spaces from serial numbers etc. Is there a better formula to estimate the number of Xboxes produced per week on a certain assembly line? What day does a week start with? Does the factory produce Xboxes on Sundays? Do they produce just as many? Is it different in the respective countries? How many Xboxes were produced per assembly line, per week and per factory? Are all assembly lines in a certain factory just as productive? Are all factories just as productive (per assembly line)? Did productivity go up over time? Did it hit a maximum? How many Xboxes were produced total? Does an assembly line in a certain factory use all the same flash chips, hard drives and DVD drives in a certain week? When did an assembly line in a certan factory switch between board revisions? 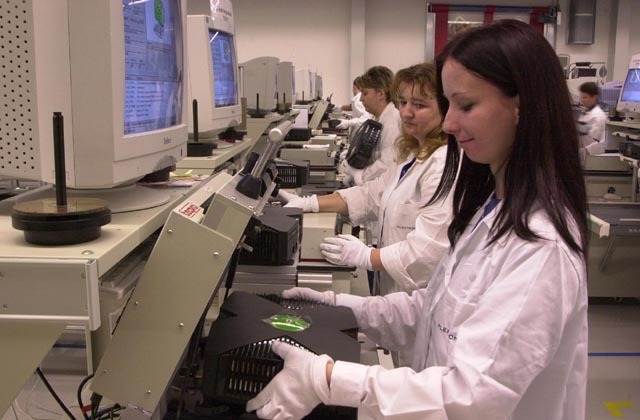 How long does it take an assembly line to be reconfigured for a different board revision? When did factories open/close? When did assembly lines get created and torn down in certain factories? Is there a correlation? Did assembly lines get migrated between factories? How long does this take? How long does it take on average for an Xbox from manufacuring to when it’s bought, per country? Does it change over the years? Which factories serve which countries? Did it change? How do ROM version, HD software version, motherboard version and video encoder brand correlate to each other? Which countries have PAL, which have NTSC? Where were the non-black Xboxes made? What percentage of Xboxes has a Philips, a Samsung or a Thomson DVD drive? What is the distribution of hard drive types? Some people claim they have a 20 GB hard drive. How credible is this? When and at which factories were certain DVD and HD types introduced? Over time, how did the distribution of DVD and HD types change? What is the distribution of flash chips, how did it change, and how does it correlate to factories? Is there enough data to make statements about the refurbishment process (search for “refurb” in comments)? What percentage of people misses a digit when trying to type in 12 digits? What percentage of people replaced digits of the serial number with an ‘X’ or a ‘*’? 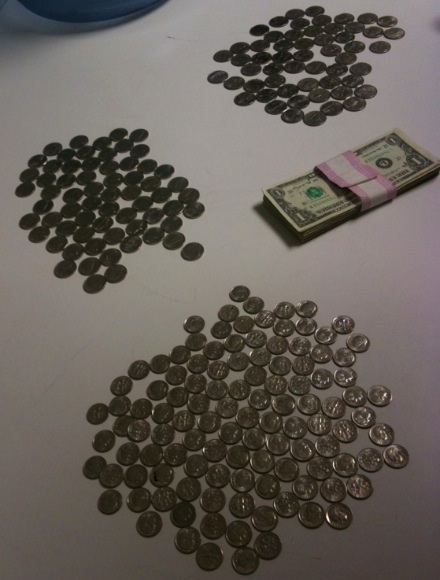 What percentage of these chose the right digits to properly anonymize their serial numbers? Any more interesting observations you can come up with? This entry was posted in hacks, puzzle on November 23, 2010 by Michael Steil. Everything can be expressed in bits. It takes 4 kilobits to decompress ZIP data, 25 kilobits to kill a human, 43 megabits for a working Mac OS X kernel, and 10^120 bits to describe our universe. What is the entropy/complexity of the 6502 CPU, you might wonder? 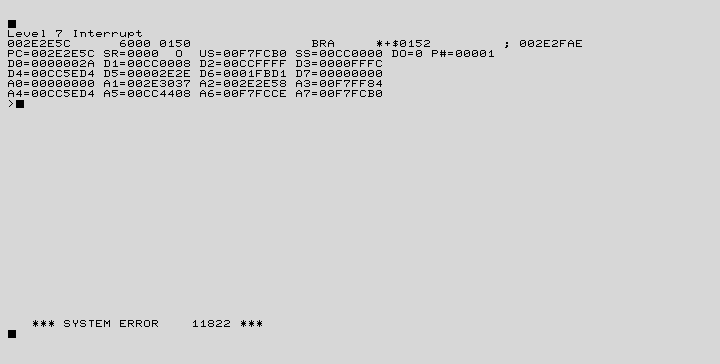 You have probably already seen Visual 6502, a simulator of the 6502 that operates at the transistor level and visualizes what’s going on inside the CPU. The data the program operates on was derived by converting a high-resolution photograph of the 6502 die into polygons, and converting these polygons into the node and transistor configuration. If you ignore the polygon data, which is only needed for visualization, the data to fully describe the 6502 consists of a set of nodes and a set of transistors. There are 1725 nodes in the 6502, and 3510 transistors. Every transistor has one node as an input that turns the transistor on or off. If the transistor is on, it connects two other nodes, and if it is off, it separates them. Every node can either be neutral, or be a pullup – the latter means that the node will behave as if it was connected to VCC whenever the path through this node is otherwise floating, i.e. not connected to VCC or GND (or an external pulldown). So the raw information that describes the 6502 is a set of nodes, for which there is one bit of information, whether it is a pullup node or a neutral node, as well as a set of transistors, which is a three-tuple consisting of gate, c1 and c2. The file segdefs.js in visual6502 contains (next to the polygon information) the node state: “+” means pullup, “-” (or a missing node description) means neutral. The file transdefs.js contains the transistor tuples. A quick estimate would be 1 bit per node (pullup or neutral), and 3 times 11 bits (3 node numbers from 1 to 1725) per transistor, resulting in about 117 kilobits; but there is still a lot of redundancy in this representation. This way, there are no holes in the list of gates – a new transistor has either the next node number as its gate, or the same one again (i.e. a node is gate of several transistors). It is enough to store a single bit for the gate. The example above already shows that the nodes 657 and 558 show up a lot: These are VCC and GND, respectively. In fact, 234 transistors connect to VCC, and 2493 connect to GND. We could Huffman-encode the c1 and c2 nodes, but in practice, all other nodes except these two are relatively uniformly distributed, so let’s just special case them. There is also no ordering between the two nodes the transistor connects, and no transistor will ever connect VCC/GND to VCC/GND, so we only need to do the special VCC/GND encoding for c1, and leave c2 as it is. Let’s use a single “1” bit to represent GND, “01” as VCC, and all other 11 bit node numbers will be prefixed with “00”, making them occupy 13 bits. This way, the 3510 values of c1 can be described in 2493 * 1 (the GNDs) + 234 * 2 (the VCCs) + 783 * (2 + 11) (the others) bits = 13140 bits. The c2 values occupy 3510 * 11 bits = 38610 bits. If you add the bit per transistor for the gate (i.e. 3510 bits), we’re at 55260 bits for the transistor description. Using arithmetic coding, we can describe a node number in about 10.75 bits instead of 11. This way, we save (783 + 3510) * 0.25 bits = 1073 bits. The transistor description thus fits into 54187 bits. As stated previously, we also need one bit per node for the pullup information. About half the nodes are pullup, and we don’t have the freedom of sorting and renaming the nodes any more (we’ve done that already for the transistor gates), so we’ll have to go with the 1725 raw bits. So the final number is 54187 bits + 1725 bits = 55912 bits. That’s 6989 bytes, or roughly 56 kilobits, and about twice as big as H1N1. With this number, we can estimate the complexity of a Commodore 64 to be about 200 kilobits (CPU, VIC, SID, 2xCIA, PLA) – plus another 160 kilobits of ROM. But wait: Did you see the duplicate transistors in the sorted list? Yes, there are some duplicates, in fact, there are only 3288 unique transistors. And when looking at it on a higher level, the 130 entry instruction decode ROM has duplicates too: Only 115 are unique, leading to redundant paths in the node/transistor graph. The reason for this redundancy is routing: There are only two dimensions in a computer chip (plus layers), so you cannot just connect anything to anything. The homework for today, dear reader, is to develop an algorithm that minimizes the description of the 6502 by removing duplicate transistors as well as equivalent paths. This entry was posted in 6502, archeology, puzzle, trivia on September 26, 2010 by Michael Steil. Exercise for the reader: Change it. This entry was posted in hacks, puzzle on May 4, 2010 by Michael Steil. Here is a fun game for long car rides: One person names a respected standard implemented by dozens of IT companies, and the other person names Microsoft’s competing technology. Example: MPEG Audio (MP3/AAC) – Windows Media Audio. Let’s play this game in the comments to this blog entry: Just add as many of these pairs that you can think of – extra points if Microsoft’s technology has a closed specification. This entry was posted in puzzle on April 22, 2010 by Michael Steil.